Justice secretary Michael Matheson has promised a full investigation after police apologised that a possible sighting of a missing vulnerable 88-year-old woman was not passed on to the inquiry team looking into her disappearance. Janet McKay, who has dementia, had not been in contact with her family since leaving her home in Dykebar Avenue in the Knightswood area of Glasgow on September 16. 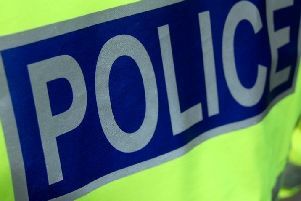 A body found in Clydebank early on Thursday is believed to be that of the elderly lady and her family have been informed. The last reported sighting of her had been on CCTV leaving a bus in Glasgow Road, Clydebank, on the day she went missing. But police admitted on Thursday that a member of the public informed police of a possible sighting of Ms McKay two days after she went missing but that the information was not passed to the call handling centres or to the inquiry team. Officers have apologised to Ms McKay’s family and the issue has been referred to the Police Investigation and Review Commissioner for investigation. On Friday, speaking on the BBC’s Radio Scotland, Mr Matheson said: “Janet McKay’s death is clearly a tragedy for her family and friends and I want to offer them my sincere condolences. “What’s now important is that we establish all of the facts relating to this particular matter. “The Lord Advocate has referred the case to the Police Investigations and Review Commissioner, as have Police Scotland, who will now be investigating how Police Scotland handled this particular missing persons inquiry. The latest incident follows a review of Police Scotland’s procedures launched after the deaths of John Yuill and Lamara Bell, who lay undiscovered for days despite a sighting of their crashed car being reported to a police control room. Ch Supt Bates said: “This morning officers discovered the body of a woman in the Clydebank area. Formal identification has yet to take place but we believe it to be Janet McKay who was reported missing last week. Janet’s family has been informed. “Since she was reported missing last Wednesday an extensive investigation and search has been conducted by my officers throughout the local area. “On Friday evening as part of our inquiries, a member of the public provided us with information of a possible sighting of the missing person. This information was not passed to the call handling centres nor was it passed to the inquiry team. “On Tuesday further information about this potential sighting was received through the call handling centre who immediately passed it to the inquiry team. Following further extensive inquiry a body was discovered. We have kept Janet’s family fully informed. “I would like to apologise to the family for any distress caused at this difficult time and take this opportunity to express my condolences to the family and friends and thank those members of the public who supported the search for Janet. A post-mortem examination is to be carried out to establish the cause of Ms McKay’s death but it is not being treated as suspicious. Chief Constable Sir Stephen House last month announced he will stand down earlier than expected following sustained public and political criticism over call-centre failings, and controversies over stop-and-search and armed police patrols. A Crown Office spokesman said: “The Crown Office is aware of the circumstances relating to the death of Janet McKay and in particular an issue relating to the search for her. “On this basis the Lord Advocate has referred the matter to the Police Investigations and Review Commissioner for investigation under statutory powers.